What's it like to share a symbol with Jesus? 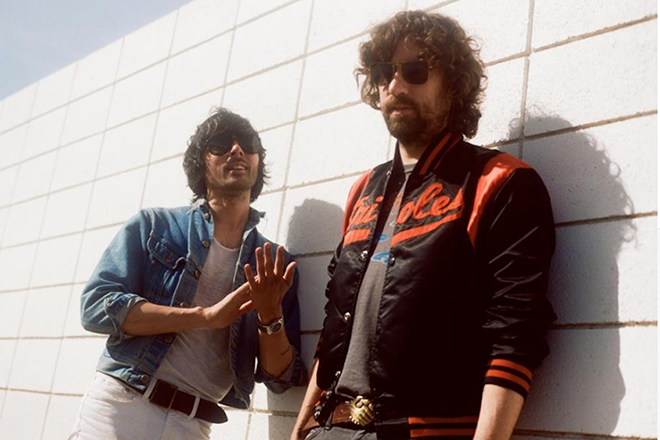 It’s been over a decade since Justice, the duo of Xavier De Rosnay and Gaspard Augé, released their debut album ‘Cross’ which also marked the unveiling of their now iconic logo. Their version of the holy cross has since remained a fixture of all their releases. Now Xavier De Rosnay has recently opened up about what it’s like to share the symbol with Jesus. Sharing the logo with a religion is something De Rosnay seems to be very much aware of and he goes on to describe the similarities between religious gathers and Justice live shows. He also expressed how this is evident in their recording process: "The way we make our tracks is to have this kind of religious feeling happening." Read the full interview with Xavier De Rosnay here to find out more about their approach to writing an album as well as their various influences and what they're currently working on. For more on Justice, read their Mixmag cover feature here.